Home / Blog / FAQs / How many days does it take to walk the Camino de Santiago? How many days does it take to walk the Camino de Santiago? When talking about ‘the Camino de Santiago’ most people have in mind the Camino Frances or French Way which is the most popular and well known of the Camino routes across Europe. 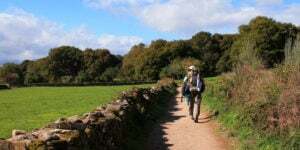 However there are many other Camino de Santiago routes, increasing in popularity each year. The Camino Frances starts in St Jean Pied de Port in France and is nearly 800kms long, or 500 miles. It would take just over a month, 35 days to walk the Camino Frances from St Jean Pied de Port to Santiago de Compostela, considering you are walking an average of 25 kms per day. Many pilgrims, however, add rest days (generally one per week walked) to recover but also to explore and enjoy some of the historic cities and towns en route. Tougher or longer walking days such as the stage from Villafranca to O Cebreiro are often split in two. After arriving in Santiago, many pilgrims continue on to Cape Fisterra on the Camino de Fisterra, which would add another 4 walking days to your journey. Just over 63% of all pilgrims receiving their Compostela pilgrim certificate in Santiago take the Camino Frances route. Many others choose less known routes such as the Camino Portugues, Portuguese Way, which is the second most popular attracting approximately 18% of pilgrims; or the Camino del Norte, Northern Way. It takes 30 days to walk the Camino de Santiago from Lisbon on the Portuguese Way, 14 days to walk the Camino from Porto (along the Portuguese Way or the Portuguese Coastal Way) and 37 days to walk the Camino del Norte from San Sebastian. 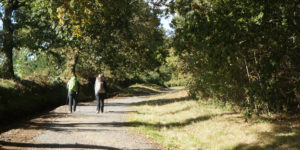 One of the shortest Camino routes is the Camino Ingles, the English Way, which is just 118kms from Ferrol to Santiago and would take just a week to complete. The beauty of the Camino is that you can start and finish at any point so you can adapt the trip to the time you have available. 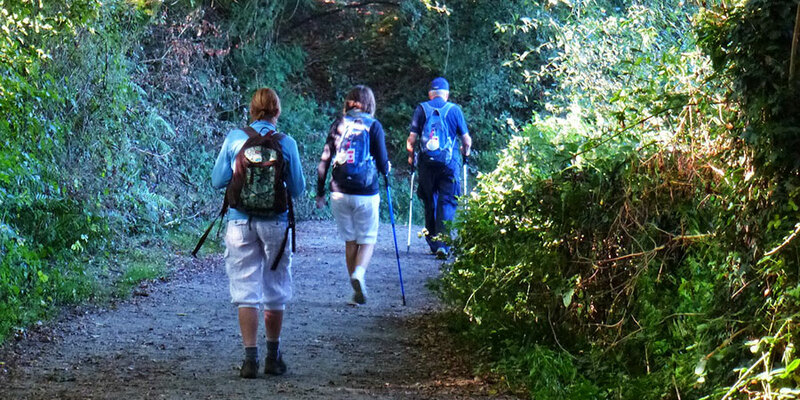 If you are considering walking the Camino, regardless of which route you’d like to take, bear in mind you will need to walk at least the last 100kms into Santiago to receive your pilgrim certificate, which should take you 5 to 6 days walking. If you would like to walk the Camino de Santiago and require additional information or would like to book your Camino trip, contact our travel specialists. Hi Lynn, thank you very much for getting in touch. We have many options that are 1-week long, both self-guided and guided, so that would be no problem at all. If you are looking for the classic Camino route you should opt for this itinerary: https://caminoways.com/ways/french-way-camino-frances/french-way-section-8 or the route coming from Baiona (on the coast): https://caminoways.com/ways/portuguese-coastal-way-caminho-da-costa/portuguese-coastal-way-section-2. Our self guided tours are totally flexible in terms of dates and we include accommodation (standard or superior), as well as breakfast, luggage transfers and holiday pack with route information. We can also include other services such as dinners and airport pick up if required. Let us know what you think and if you’d like to receive a more detailed itinerary from our sales team. Kindest regards. I would like to walk the Camiño. I’m not in a position to walk for longer than 8 days or so at the moment. Can you give me any details or advice. Where does the Camino de Santiago start?